In today’s increasingly competitive environment, the ability to monitor and control variations in the manufacturing process is crucial. Established over 85 years ago in Providence, Rhode Island, Mahr Federal Inc. is recognized worldwide for expertise in providing dimensional measurement solutions and meeting the measurement needs of precision manufacturers in a variety of industries such as automotive, defense, aerospace, job shops, machinery, bearings, pumps, engines, computers, can manufacture, plastics and medical devices. Mahr Federal employs over 300 people; measurement professionals, who have dedicated themselves to developing and producing innovative and imaginative dimensional gaging instruments to improve measuring efficiency. Skilled applications engineers in Providence draw upon experience in identifying and meeting customers’ measurement requirements. We have delivered the right answers to hundreds of thousands of satisfied customers around the world — whether the solution be as simple as a dial indicator, one of a selection of hundreds of hand-held indicator gages, a digital readout air fork for outside diameter measurements, high precision form or surface finish analysis instruments or a specially designed gage for such applications as high-speed measuring, sorting and classifying of wrist pins. Our laboratory gages for calibrating gage blocks, master rings and discs have set a standard of performance for millionths accuracy size determination, and are clearly in a class by themselves as basic instruments for the surveillance of primary and secondary standards. Customer Resource Centers in Providence, Cincinnati and Los Angeles form the core of our extensive network of sales personnel and distributors supporting customers in the United States and Canada. Mahr Corp. de serves our costumers in Mexico. 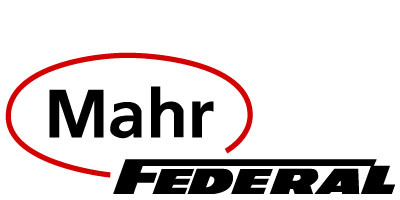 Mahr Federal supports its customers with factory repair and calibration services and responsive field service. The company maintains a metrology laboratory in Providence that is ranked as one of the world’s finest. This highly controlled laboratory environment assures protection against the effects of vibration, temperature and humidity variations. Mahr Federal’s calibration system is certified to ISO-9001 and ISO-17025. All procedures for measuring and reporting size are equivalent to those of the U.S. National Institute of Standards and Technology (NIST) and conform to U.S. Specification GGG-G-15C.